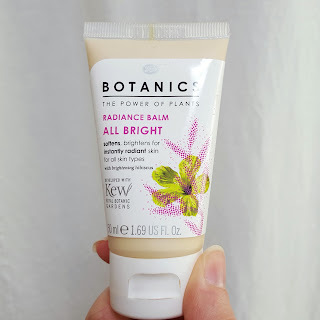 This is the last of the series of posts I did covering the Boot’s Botanics Skincare line. I reviewed their Age Defense and Organic line in previous posts, so check those out if you haven’t already. I purchased two products from this line. The first product I purchased was the Purifying Face Scrub. It boasts walnut shells and crushed apricot seeds that act as exfoliators to gently scrub away impurities. It is a little rough, but I appreciate it. I know it is effectively removing the dead skin. 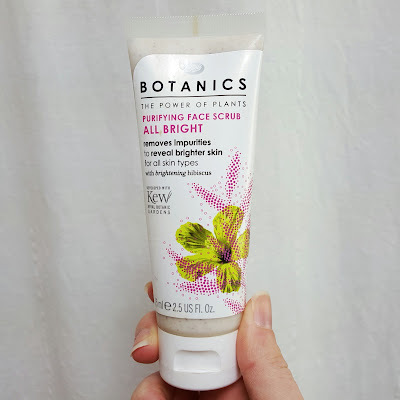 I wouldn’t use this daily as it is feels bit harsh, but as a weekly face scrub I really like it. The formula is super moisturizing and creamy. 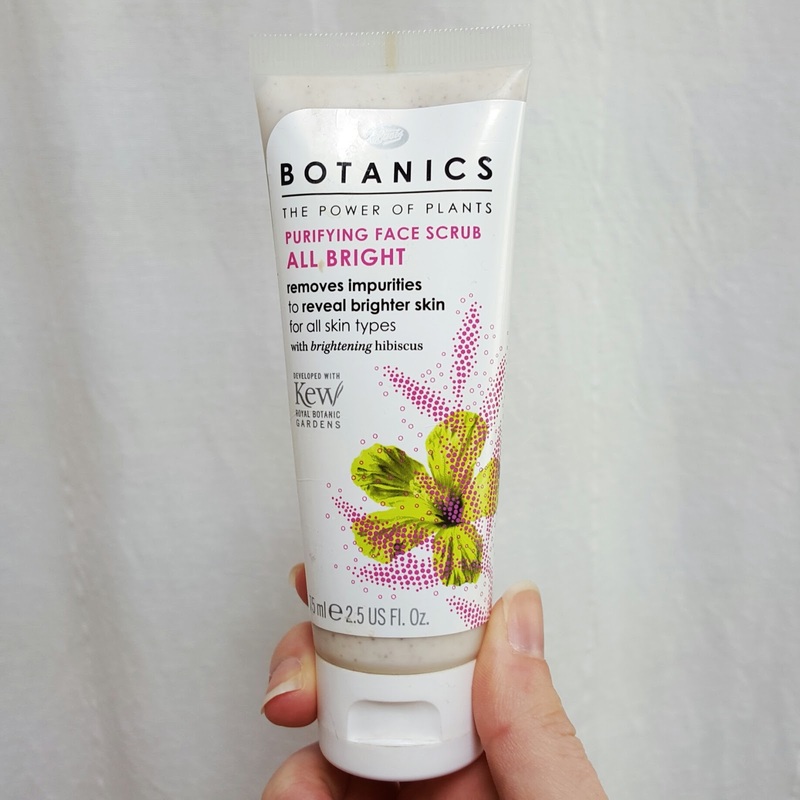 I wash my face with my standard face wash (to remove my makeup) then wash again using this scrub, in soft, circular motions around my face. I like to focus on my nose and forehead where I have the most dry skin issues in the winter. The ingredients include shea butter, cocoa butter, and sweet almond oil. It also contains hibiscus flower extract that contains AHA (alpha-hydroxy acid). There is a warning on the box regarding AHA and how can cause sensitivity to sun. Make sure you use sunscreen and limit sun exposure when using products with AHA. More information can be found here. The other product I purchased was the Radiance Balm. It also includes some of the same ingredients, such as shea butter, almond oil and AHA. I was drawn to it because of its pink color. I like to use it as a base over sunscreen before I apply my foundation. It has a nice sheen to it and gives a dewy glow. Just make sure to wear sunscreen! There you have it. 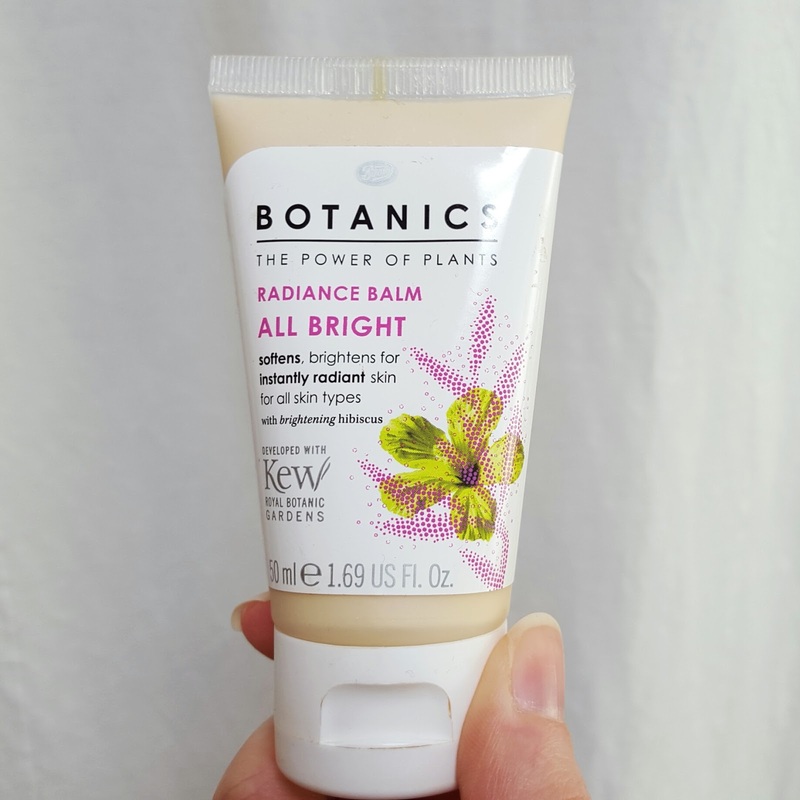 A rundown of 3 different product lines from the Boots Botanics collection. Let me know what you think, if you’ve tried any, or other lines you recommend from Boots. Next Post Big Thanks to YOU!